Daisy sometimes calls herself “The Venus De Williamsburg”. 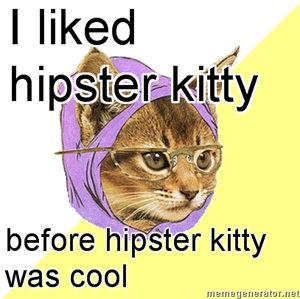 Submit a hipster kitty photoThanks to Daisy The Curly Cat for the photo. 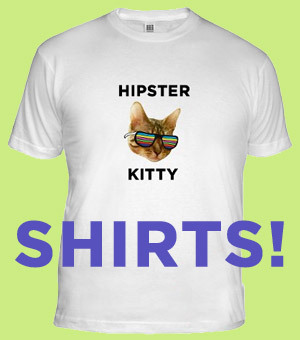 This kitty was posted on Thursday, February 18th, 2010 at 10:40 am	and is filed under Artsy Cats. 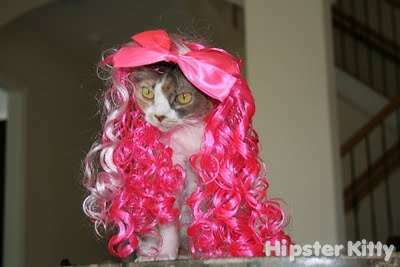 For credit, this is Daisy, from http://daisythecurlycat.blogspot.com/. Thanks for catching that Debra, we added that credit to the post.